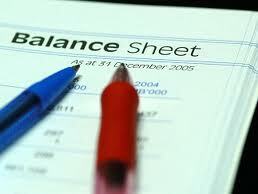 A company’s balance sheet is a summary of its assets, liabilities and equity at a point in time. Equity is the bit that shareholders own. A balance sheet should help you to gauge the financial health of a company and to assess the risk of investing. But unless you have some familiarity with company financial statements, don’t try a lot of original research. A little knowledge of the figures can be dangerous. The big thing to look for is the level of debt. Debt, for this purpose, is any liability on which interest is being paid. Most companies have debt because it is usually a relatively cheap source of funding for acquisitions and expansion. Low debt levels can mean the company is not utilising alternative funding sources as it should be, and at the same time it also indicates flexibility to borrow or take on debt to expand or make acquisitions. High debt levels (or high gearing) can be dangerous, particularly if borrowing costs are rising and exceed or may exceed the return that the company makes on its capital. What is a strong balance sheet? As a general rule if equity exceeds debt and current assets exceed current liabilities, the company is in sound financial health. If debt exceeds equity the company may still be in good shape but more vulnerable to interest rate increases or downturns in profits or cash flows. It also depends a lot on the industry and other factors, so get advice on the subject if you are uncertain. Balance sheets are part of annual reports or half yearly/quarterly reports which are usually carried on company websites. 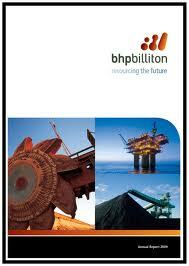 Our website provides easy access to annual report sections in company websites. Find the last report and if you can’t, go here, search on the company’s code and if necessary click on View more announcements.